Michael, a three-time resident of Goodwin House, feels he has finally found the strength and resolve to stay on the path to recovery. Chantal Silloway started using substances at age 12 and eventually battled her way to sobriety at 25; she’s been clean for 32 years. With her background, she knows full well that no two people take the same path to substance use, and likewise, no two take the same path to recovery. This is the mindset, and operating philosophy, she brings to her role as director of the Goodwin House in Chicopee, a place where young men try to piece their lives back together. This was a development that would have consequences he says he couldn’t have foreseen. He told BusinessWest that his descent into substance abuse began when he started drinking with these individuals and smoking some weed, as he put it. Things would only escalate from there. “I started doing percocets and slowly became addicted to those,” he recalled. “Then I couldn’t afford them anymore, so I was introduced to heroin, and soon developed a real problem … I wasn’t feeling good when I wasn’t using it, and when I was using it, I felt fine. Michael was offering these flashbacks while sitting down with BusinessWest on the front porch of Goodwin House, a large home on Fairview Avenue in Chicopee. This unique facility, the only one of its kind in the Commonwealth, is a 90-day program providing substance-abuse treatment for males ages 13-17, operated by the Center for Human Development (CHD). Michael says he feels at home here, and he should; this is his third stint here and also his last. 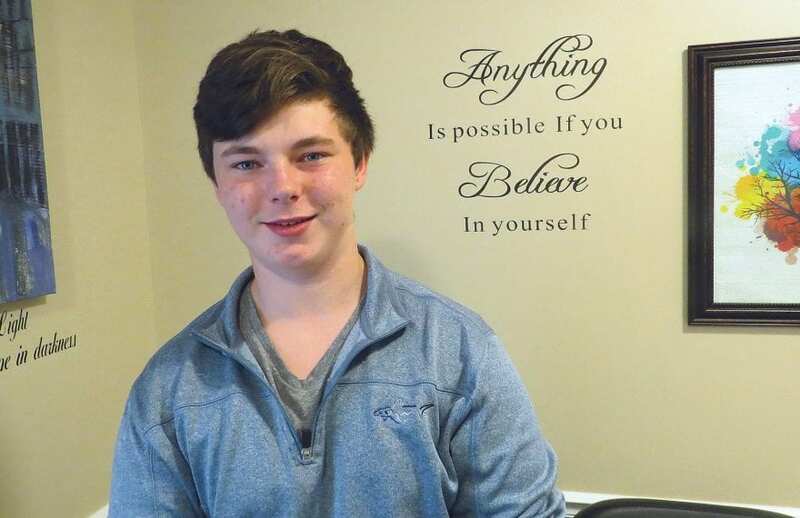 He’ll be aging out of the program soon, but, more importantly, he feels he has, through the help of those at Goodwin House, found the strength and resolve to stay on the path to recovery, with his next stop hopefully being a so-called ‘sober house’ for individuals over 18. 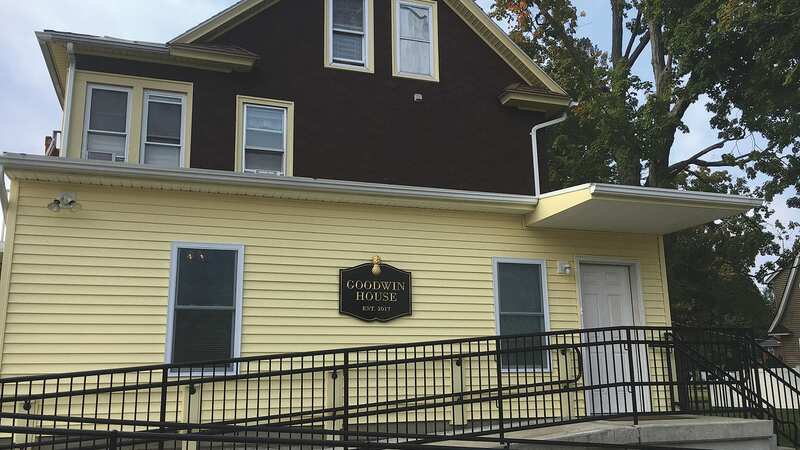 “This is a great success story — we’re very excited for him,” said Chantal Silloway, program director at Goodwin House and someone who can, like many in positions like hers, speak from experience when it comes to substance abuse and recovery. With her background, Silloway knows that no two people take the same path to substance use, and, likewise, none take the same path to recovery. Thus, this 90-day residential recovery program focuses on the uniqueness of each young man that arrives at its door, with a view to self-empowerment and the future they choose. Chantal Silloway says no two people take the same path to substance abuse, or to recovery. Elaborating, she said that young men are referred to Goodwin House from a variety of sources, including detox facilities, hospitals, the Department of Children & Families, the Department of Youth Services, and parents and guardians themselves. But where they were referred from is not really important, she said. What is, however, is that they arrive with a willingness to help themselves. Without that, recovery is simply not attainable, she went on, adding that Michael is a good example of this, as we’ll see, and also an example of why many residents make return visits to this facility. At Goodwin House, a team of clinicians and recovery specialists use evidence-based programs to help residents find and maintain sobriety. Treatment programs include assessment and treatment planning, individual and group therapy, recovery school and/or educational tutoring, vocational and employment-search assistance, recovery meetings, and after-care services and resources. Often, said Silloway, the path to recovery means getting family members deeply involved in the process, so there is a family-therapy program as well. Success at this facility is measured in different ways, she went on, adding that while residents do “graduate” from this program and there is a ceremony to commemorate that, there are other milestones, such as ongoing care, accomplishing specific goals that residents have set, and simply becoming ‘stabilized,’ a significant goal in itself. For this issue, BusinessWest paid a visit to Goodwin House and talked at length with Silloway and Michael. And it is through his eyes, and his thoughts, that we came to understand what happens at this unique facility and how it is helping others change the course of their lives. Flashing back again to those days when heroin was dominating his life, Michael said he needed five to 30 bags of the drug a day, meaning he needed $20 to $80 a day to fuel his habit. And, as he said, he would do anything he had to do to come up with that cash. Addiction caused him no end of legal problems, and it strained relationships with family and friends to the tipping point and beyond, he went on. But the actual toll was much, much higher. Most all of the people who come to Goodwin House are there because they arrived at the same place that Michael did, said Silloway — a place where they probably hated life and didn’t really care anymore. And they needed a way out and a path to a better life. Helping to provide all that was the motivation for Goodwin House, a facility named after Jim Goodwin, long-time director of CHD. It opened its doors in May 2017. The program operated there was created from the ground up by Silloway, and modeled loosely on a similar facility for young girls ages 13-17 in the Worcester area called Highland Grace House. Residents must have a substance-abuse disorder, and the substances range from marijuana to alcohol to opioids, said Silloway, adding that a resident’s journey there begins with a referral, usually after a stint in detox. 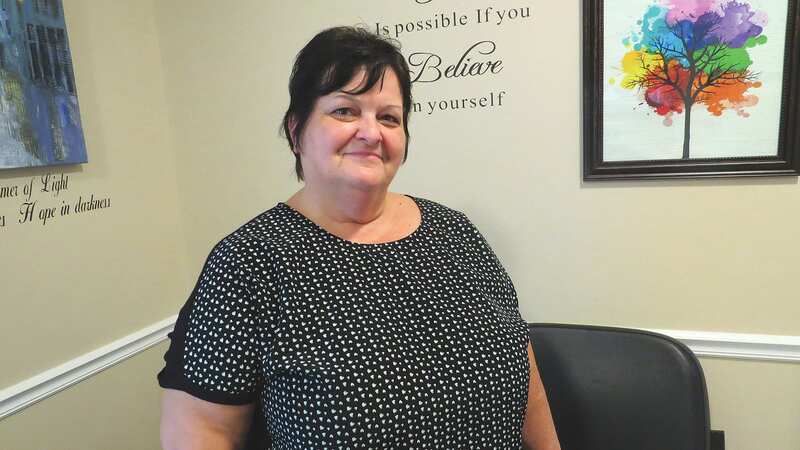 This is a treatment facility and a next step after detox, she told BusinessWest, adding that Goodwin House can accommodate up to 15 young men at a given time. There are a handful there now, and there could and should be more given the state of the opioid crisis in this state and this country, she went on, but there is still a powerful stigma attached to addiction, and this is, unfortunately, keeping many from seeking the help they need. Residents — that’s the term used to describe those participating in the program — come from across the Commonwealth, noted Silloway. They arrive, as she noted earlier, under different circumstances and with unique backstories. But the common denominator is that successful recovery must begin with admitting that one has a problem, and possessing a willingness to do something about it — ingredients that are very often missing from the equation. Indeed, Michael said his first visit to Goodwin House was triggered by his arrest on various charges (he didn’t want to get into any great detail) in November 2017, followed by a stint in detox. With the benefit of hindsight, he believes that first time in detox and his initial visit to Fairview Avenue ultimately saved his life. But he knows now that he when he first arrived, he just wasn’t ready to change — as in change his friends, the places he hung out at, or, most importantly, himself as a person. This residential treatment program for males ages 13-17 is the only facility of its kind in the Commonwealth. He started using again while he was at Goodwin House, got kicked out of the program, went back to detox, came back to Goodwin House, used again after only a few weeks, and was again kicked out of the program. He went to detox yet again and then to a halfway house in the Boston area, where he was discharged for using. The frustrating cycle continued with one more trip to detox and his third referral to Goodwin House. This time, though, things were different. Silloway told BusinessWest that those addicted to substances like heroin, other drugs, and even alcohol are essentially in recovery for the rest of their lives. Recovery is a journey, and very often a long and difficult one, she went on, adding that is why it is not considered a failure to relapse and return to Goodwin House a few times, as Michael has. Michael still needed them, and they were there for him when he checked back in over the summer. Only this time, he arrived with a different attitude. “When I went to detox for the fourth time, I decided I was sick of living that way and knew I needed to make some changes,” he recalled. 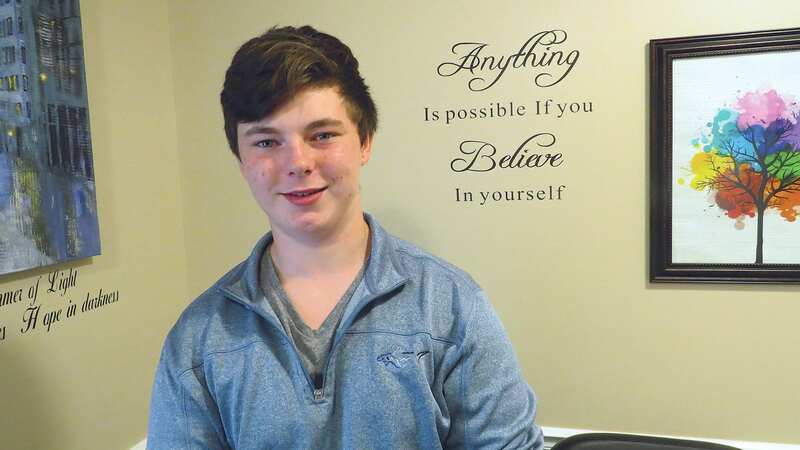 And over the course of the past 10 weeks or so, he has made some, and, with the help of the large support network at the Goodwin House, Michael is ready to do something he was never ready to do before — live without drugs. “I feel like I wanted to make a change — I just didn’t know how,” he said. “But then, I started second-guessing whether I wanted to make that change. I got through that second-guessing, but I’m addict; I’ll always want to use. But now, it’s a matter of what will happen if I use. Am I going to die? Am I going to have more legal issues? When asked about the long term, Michael said he doesn’t think in such terms. In fact, he doesn’t even take things one day at a time. He admits to being somewhat nervous, but not scared. Getting to this point has been a long struggle, but Michael has found the will to change and keep moving forward. The Goodwin House has played a huge role in that, and the goal moving forward is to write more success stories like this.